Located in the ridge of the great Western Ghats, Amboli is an untapped hill station in Maharastra, about seven hours from Pune. To travel from Pune to Amboli, drive down the Wai – Satara – Karad – Uran Islampur – Yelur and reach Kolhapur from Shiroli. Further use the route from Kolhapur to Amboli to reach Amboli hill station. If you want to go via train, the closest railway station after traveling a distance of 30 km is Sawantwadi to Amboli. From Sawantwadi, buses and taxis can be hired to reach Amboli. 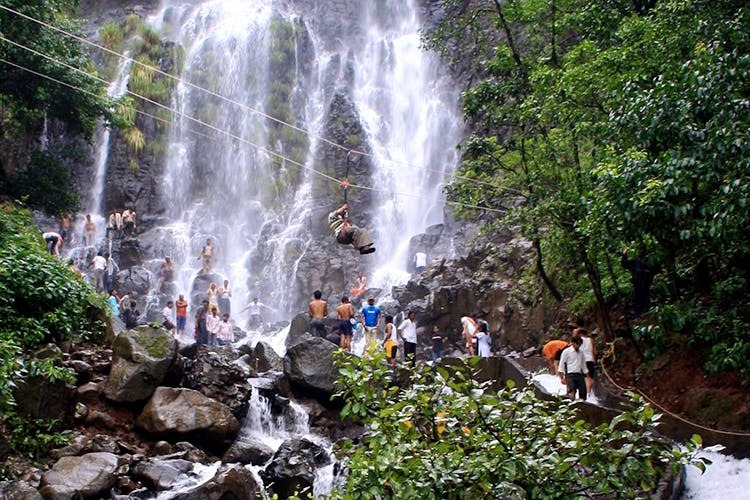 Known as ‘Queen of Maharashtra’, Amboli embraces nature in full swing. Aesthetically pleasing, calm and serene, this place is just the holiday you need if you’re looking for time away from the city. Amboli overlooks the thick undulated evergreen forests of Vengurla, and comes to its full bloom between the months of October and February. Which is why, if you’re planning a visit, we’d recommend you choose to go in these Winter months. However, if that is not possible, the monsoon is a great time too. That’s when you’d get to see the waterfalls in all their glory. What we loved about the place is that from certain vantage points, you can see multiple waterfalls falling from steep cliffs. At other points, they are hidden behind the trees and only make their presence felt with their gushing sound. Sounds peaceful, doesn’t it? Forget backpacking all the way to Kasol, instead visit Amboli with your squad and return with the best experience.